A new Kickstarter crowdfunding campaign has been launched to create a teaching space for aspiring plant-based chefs to learn all the tricks of the trade from seasoned professionals and industry leaders. The Plant Academy is being set up by Lauren Lovatt and David Bez. Lovatt has previous form as head chef at the Asparagasm vegan restaurant in the Cotswolds for a couple of years, then trained as a chef in the U.S. and returned to Europe to become an instructor at the PlantLab school in Barcelona, Spain. Bez went from salad blogger to international author before opening Covent Garden's Pride Kitchen, serving plant-based lunches to the people of London. The Academy will be part of a plant-based cafe and deli called the Plant Hub they hope to open in Mare Street in East London soon, which will also serve as a shared space, community incubator and research center. The Kickstarter has been launched to fund the purchase of equipment for the Academy, such as fridges and freezers, culinary workstations, chopping boards and the sharp implements to do the chopping. It's expected that the culinary school will be able to accommodate up to 16 would-be chefs at any one time. Courses will not only be aimed at teaching chefs how to cook with plants but will also instruct business folk and entrepreneurs on what they need to know to cater to the growing number of UK vegans. 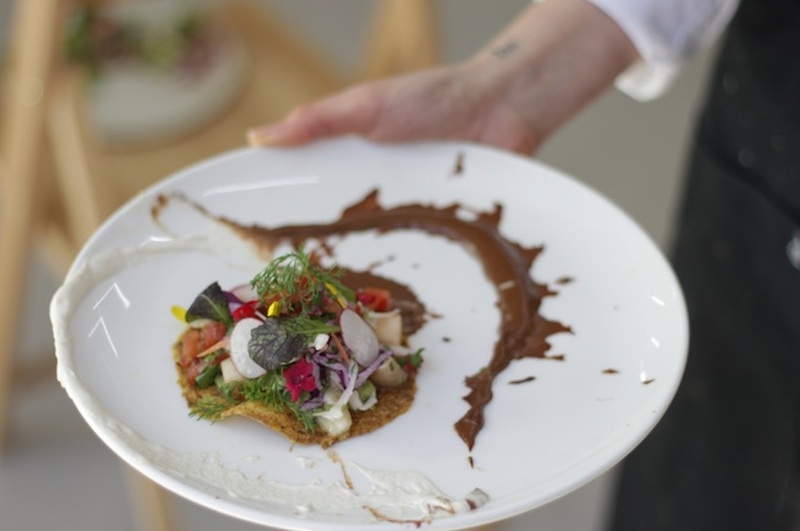 "The classes will be hands-on and provide creative recipes and insights into plant-based techniques," says the Kickstarter project page. "Our recipes are always seasonal and accommodate all budgets and lifestyles. We will work using ingredients that support the community, working with local producers, growers, and suppliers in a sustainable manner." Pledge levels start at just £15 (about US$19) for a tour of the Academy and a first look at the Plant Hub during its soft launch next month. Also on offer is a food-focused masterclass for £135 or more, a special Veganuary series with tips and recipes throughout January 2019 for £240 or more, and various workshops and courses proper. Backers will automatically qualify for a future class, if all goes to plan, and will be able to book a place on a course throughout 2019. Anyone not able to make it to London next year can take advantage of an offer extension to 2020, or head online to a planned virtual classroom.